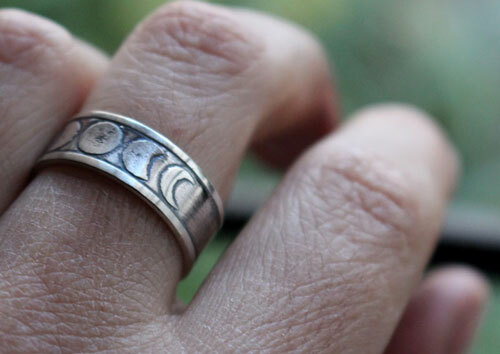 This sterling silver ring features the different phases of the moon during its cycle. 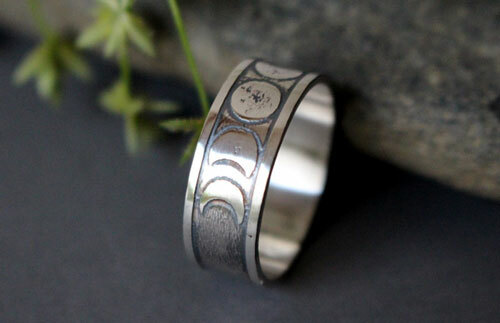 Who does not like to look up at the night sky and see the moon change its shape each night? 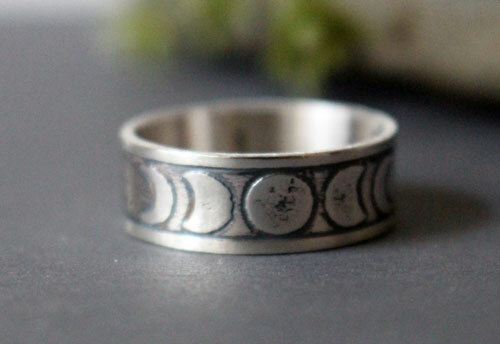 This ring is for the ones who love astronomy, the moon and the ones who love to dream. 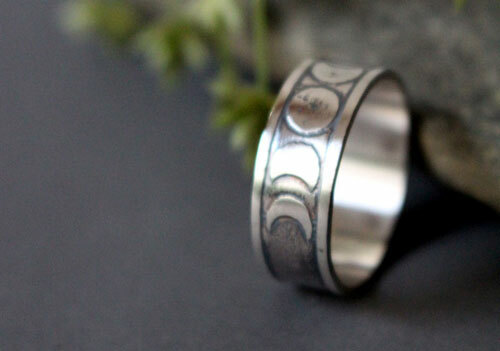 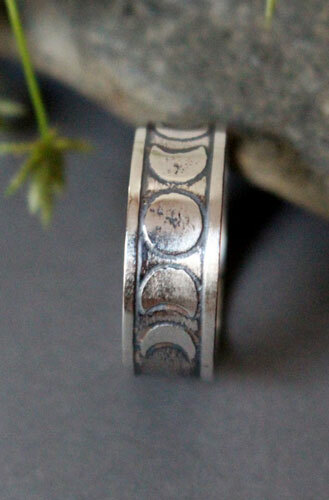 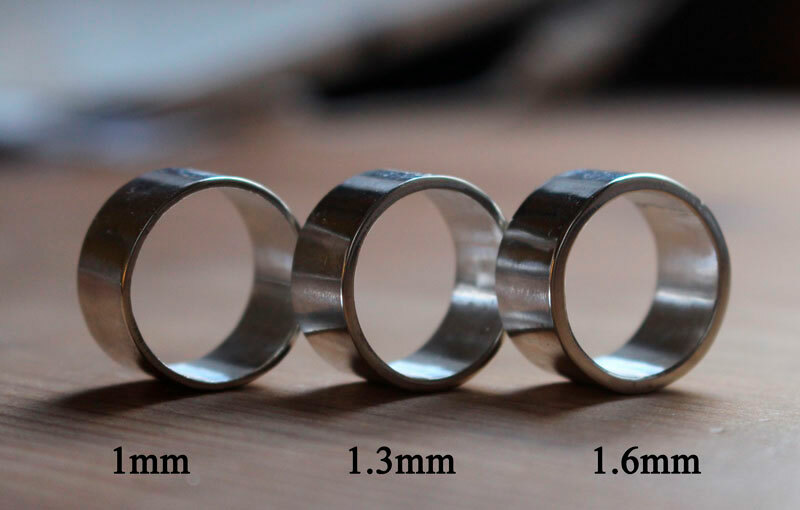 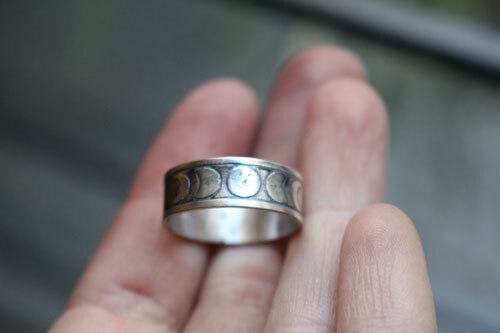 Tag: ring, moon, sterling silver, astronomy, crescent moon, moon phases, engraving, engraved ring, etched ring, phases of the moon, wedding, engagement ring, baptism, wedding anniversary, nocturnal star, night, full moon, symbol, relief, astronomical wedding, astronomical, sky, moon wedding, lunar wedding, celestial wedding.